From l to r: Hollis Wein, Rep. Mike Quigley (D-IL) and Marcia Balonick. JAC met with Rep Quigley, who stressed to us the importance of staying politically involved and working hard to elect candidates who will fight in Washington, DC for JAC's issues. The early settlers fled the lands across the sea seeking relief from religious persecution. They journeyed far, unsure of the dangers and hopes that would await them. Through peril and hardships they sought to build a better life for their families - a theme that has played out through our country's history. Those that followed helped to build our nation. It was not an easy task then; it is not an easy task now. Each generation has faced and conquered its own set of challenges while paving the way for a fuller democracy. 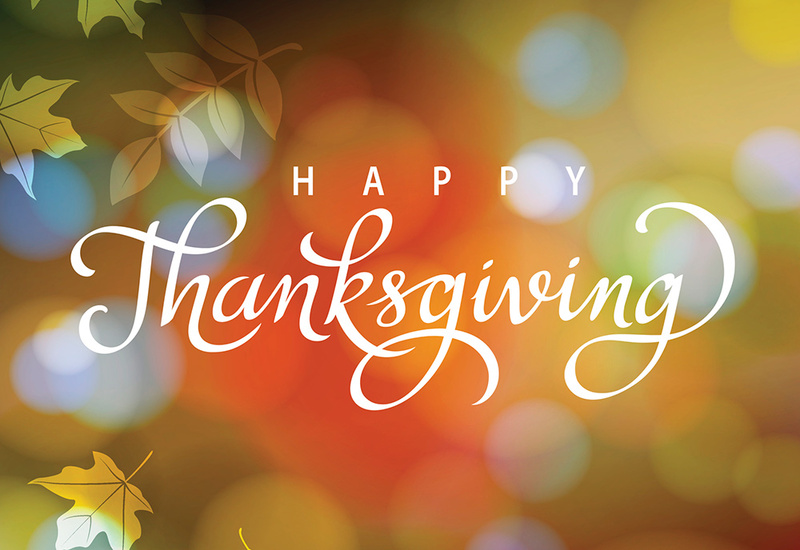 It is important to remember those Pilgrims, settlers, suffragists, civil right leaders, and countless others whose struggles and sacrifices enable us today to sit freely with our friends and family around our Thanksgiving tables. Our freedom and rights are not guaranteed and cannot be taken for granted - especially in these turbulent political times. Now is not just the time to be thankful for what we have. But it is also the time for us to face the challenges and seize the opportunities to make a difference as well. The next generation is counting on us. Thank you for your continued support of JAC. 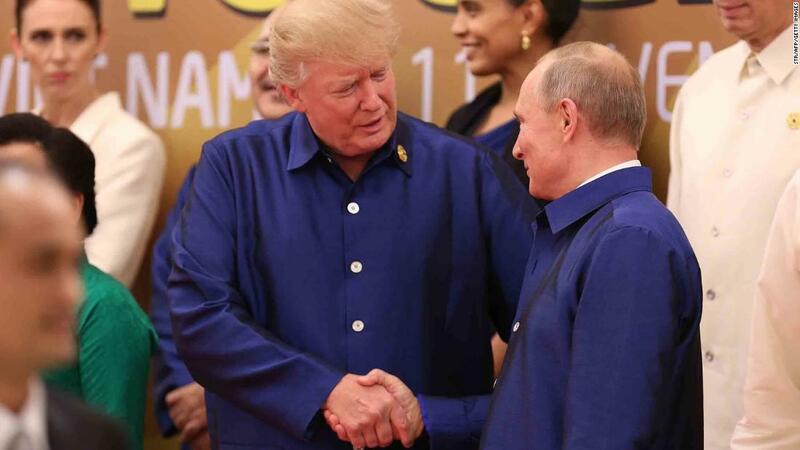 NICS Stands for "The National Instant Criminal Background Check System"
For Israel, Saudi Arabia's growing willingness to confront Iranian influence in the Middle East presents an opening for an awkward alliance. 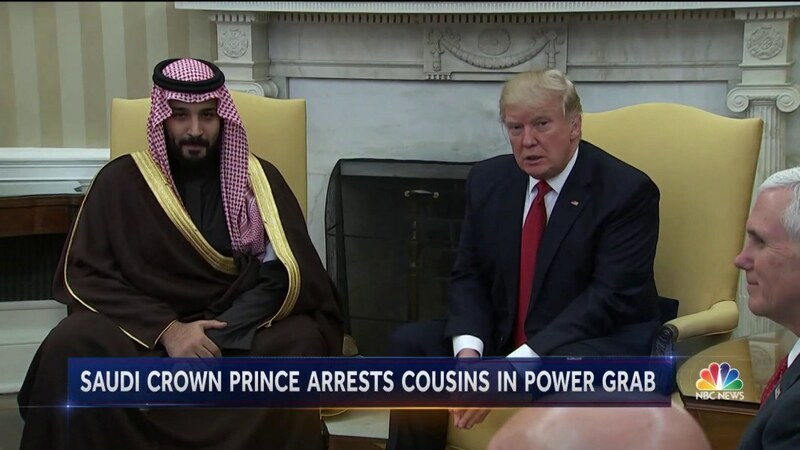 As the kingdom's dynamic new crown prince, Mohammed bin Salman, tries to rally an anti-Iran coalition, Israel - with Trump's blessing- is presenting itself as a willing partner. 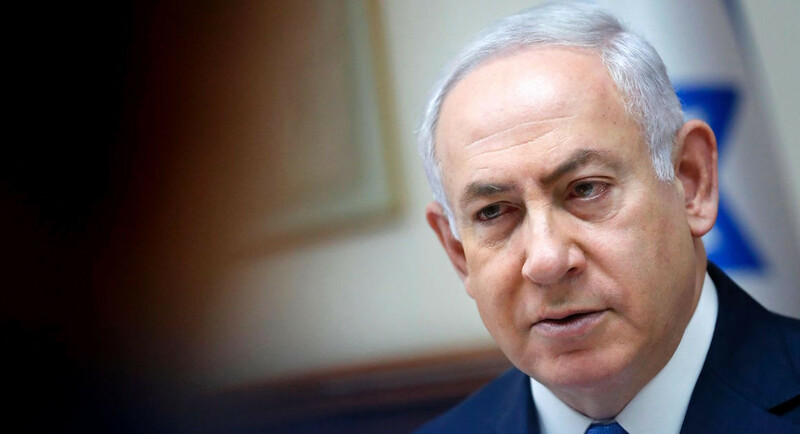 Israel and Saudi Arabia view Iran's growing influence in the region as an existential threat and want to squash militant Islamist groups like ISIS and Iran's main proxy, Hezbollah. Israeli leaders are worried about the ceasefire deal in southern Syria signed last weekend between the U.S., Russia and Jordan. That's because the deal will allow Iranian-backed forces to position themselves as close as 3.5 miles from the Israeli border in the Golan Heights. But they also think it sends an alarming signal about the Trump administration's policies. A key House panel has advanced a bill that would reduce U.S. payments to the Palestinian Authority if it continues to pay subsidies to the families of Palestinians jailed for or killed in attacks on Israelis. The Taylor Force Act, named for an American who was stabbed to death in a 2016 terrorist attack in Tel Aviv, was approved unanimously Wednesday by the U.S. House of Representatives Foreign Affairs Committee. 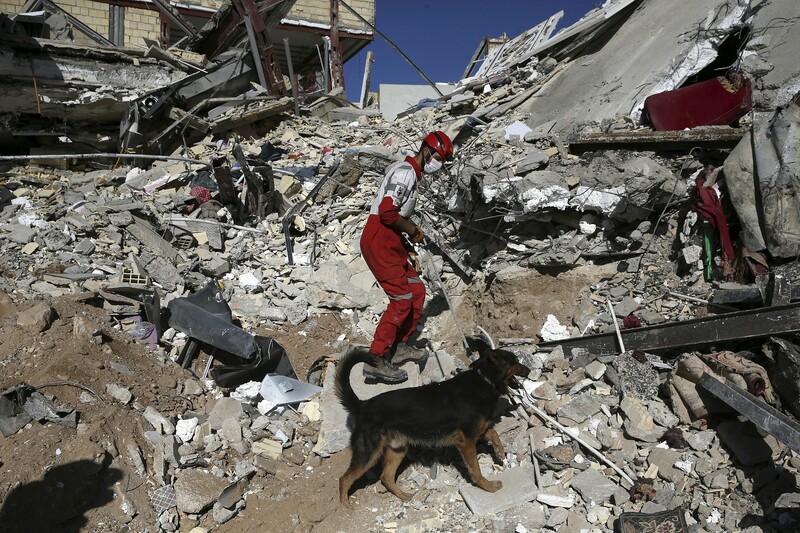 The bill leaves humanitarian assistance for the Palestinians in place. Can Israeli Diplomacy Pull Its Weight Against Russia, Iran and Syria? The sight of far-right activists waving racist banners and shouting anti-Semitic slogans during a nationalist march in the capital of Poland shocked many. 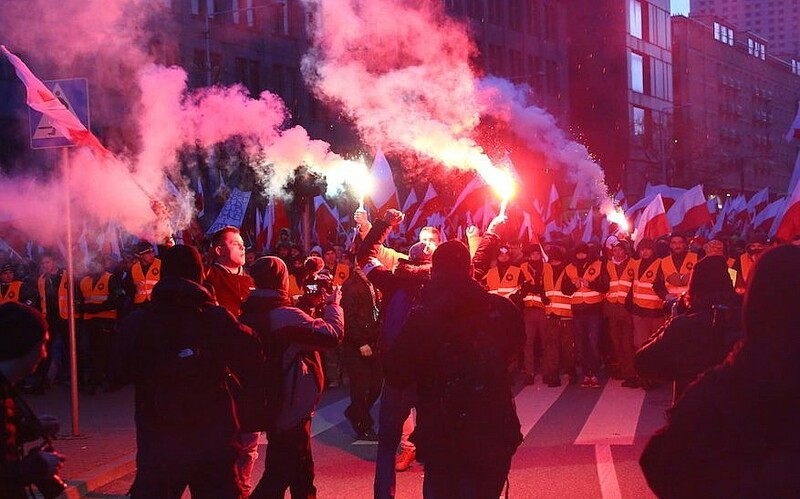 The annual march, which began in 2009, showcased the rising strength of Polish nationalists who are feeling emboldened by the conservative government in Warsaw. MSNBC's "Morning Joe" blasted "tricks meant to discredit" The Washington Post after someone claiming to be a Post reporter "Bernie Bernstein" said in robocalls he was seeking women "willing to make damaging remarks" about Roy Moore in exchange for monetary compensation. 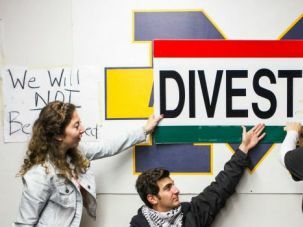 The student government passed a resolution that called on the school to investigate divesting from companies that do business in Israel, a possible watershed moment at a school with large Jewish and Arab-American populations. Buried on page 93 of the 429-page tax proposal is a provision that would allow fetuses to be named as beneficiaries of college savings accounts known as 529 plans. The terms "unborn child" and "child in utero," appear to be an attempt to establish so-called personhood for fetuses. Will the Supreme Court Grant Anti-Choice Fake Clinics the Right to Lie? The U.S. Supreme Court agreed to hear a challenge to a CA law requiring so-called crisis pregnancy centers (CPCs) to disclose to patients that their facilities do not offer comprehensive reproductive care, including contraception and abortion. The court will consider whether CPCs have a religious right to deceive patients. That framing falls in line with the Hobby Lobby v. Burwell reasoning that businesses and their owners can raise religious objections to reproductive health-care services. The U.S. military's restrictions on covering abortions can create logistical, career and health challenges for service members who become pregnant. Research shows that women serving in the military have a higher rate of unintended pregnancy than civilian women. But access to abortion can be limited by Department of Defense policies. As goes California, so goes the nation - at least, that's what LGBT advocates are hoping when it comes to a set of new, inclusive K-8 history textbooks. The CA State Board of Education approved 10 textbooks for classroom use that cover the contributions of LGBT people. Since before last year's election, Donald Trump has promised the religious right he'd deliver on one of the movement's top priorities: allowing houses of worship to engage in partisan activities without fear of losing their tax-exempt status. But that bill may not be necessary. GOP policymakers have also included repeal of the Johnson Amendment, the tax law provision that prohibits church politicking, in the Republican tax plan. What's notable about embattled GOP candidate Roy Moore is how he has pressed into his conservative Christian values to defend himself against these allegations. The conservative Christian has interpreted accusations against him as a religious war because of his campaign promise to bring God back to politics. Trump is remaking the federal judiciary in his own image: angry white men who are mad online. Unlike Trump, his picks such as John Bush (who posted threats to shoot Obama supporters), Damien Schiff (who feels Social Security and Medicare are unconstitutional) and Brett Talley (rated "not qualified" by the American Bar Association) will be in office for decades. Jerry Brown is about to wrap up a 10-day trip abroad in an effort to show the international community that he remains committed to the fight against climate change. Trump's reckless disregard for the Paris agreement acted as a spur to action and inadvertently "heightened the focus" on it. Senators on opposite sides of the gun-control debate are teaming up on bipartisan legislation to improve national background-check system by increasing how often states & federal agencies report offenses that would legally prohibit individuals from buying a firearm. The bill is narrow in focus, reiterating & reinforcing the requirement that federal agencies report all infractions to the National Instant Criminal Background Check System, and creating financial incentives for states to do so. Donald Trump Says Something That Isn't true 5.5 Times a Day. Every Day. The President of the U.S. has misled or lied more than 1,600 times since January 20. Our country can't agree on the facts anymore. Fact & opinion have become conflated. Trump, since announcing his presidential bid, has shown a total lack of concern for facts. He has flaunted his lack of adherence to established facts as a badge of honor; a symbol of his lack of commitment to politics as usual. Lawmakers from both parties have begun to question the decades-old presidential authority to launch nuclear weapons, in the face of erratic behavior at the Trump White House. 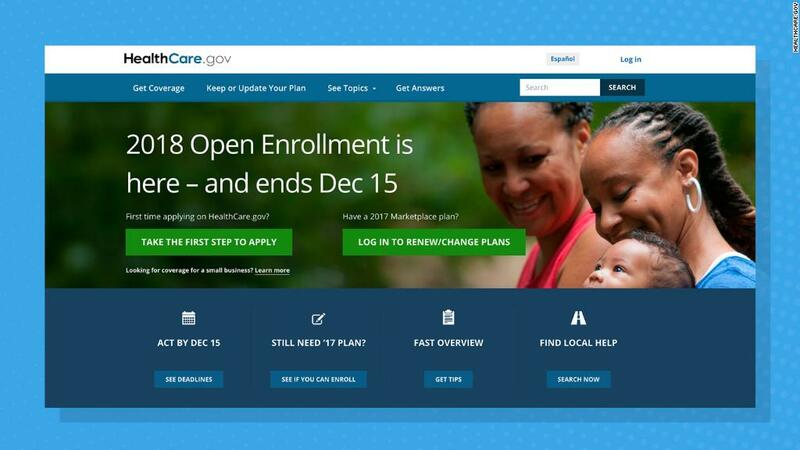 While experts have mixed views on how effective the mandate has been, many feel removing it would cause the Obamacare market to tilt even more towards sicker and older consumers. "Repealing the individual mandate without a workable alternative will reduce enrollment, further destabilizing an already fragile individual & small group health insurance market which more than 10 million Americans rely," said a medical coalition. Democratic lawmakers who want to chat off the House floor will soon do so in a room named for two former members of Congress who were targeted by violence. The "Gabrielle Giffords-Leo J. Ryan Cloakroom" is named for former Rep. Gabrielle Giffords, who survived an assassination attempt in 2011, and former Rep. Leo J. Ryan, who was killed in 1978 during the Jonestown massacre. Fourteen-year-old Karoline Cohn's good luck charm was not enough to protect her. A Jewish girl born in Germany, she is believed to have been deported to the Minsk Ghetto. At some point, her triangular pendant was dropped. Seventy years later the pendant would bring her family good luck in a way she couldn't possibly have expected. "The background check information is only as good as the weakest reporting system. And right now it is broken. Gravely."